Will Brexit put energy efficiency progress in the UK at risk, ask Jan Rosenow, Pedro Guertler and Richard Cowart of RAP (Regulatory Assistance Project)? In electric appliances and heating systems – probably not. The biggest risk is in the building sector.UK policymakers will need to put efficiency first if they want to reach carbon targets and keep costs down. Brexit has opened a new era in British politics. After the vote to leave the EU on the 23rd of June 2016 there is considerable uncertainty in all policy areas. Energy efficiency is no different. Discussing the implications of Brexit for energy efficiency policy, a Member of Parliament recently asked during a hearing of the House of Commons’ Business, Energy and Industrial Strategy Committee, “now that we have left the EU, what new freedoms do we have?”. In reality, the EU never prevented Britain from being more ambitious on energy efficiency—it set minimum standards allowing Member States to define their own approach based on those standards. Many of the UK’s energy efficiency policies such as building codes and product policy have been implemented in the context of EU directives. As a result, individual households now use around 30 percent less energy than they did in 1970, with the bulk of this decrease occurring since 2004. At 2016 energy prices, this has reduced the average household energy bill by around £420 per year. Total household gas use decreased by 19 percent between 2000 and 2014, despite a 12 percent increase in the number of households and a 9.7 percent increase in population. Much of this success story is driven by European policies. So now that the UK leaves the EU—does Brexit put future energy efficiency progress at risk? Will we get our inefficient vacuum cleaners and kettles back? The Ecodesign Directive has been a major driver for energy efficiency improvements both in the electric appliances markets and heating systems—it requires manufacturers of electrical and heating appliances to increase energy performance of those products over time. After Brexit, there is a question mark as to whether the UK will retain energy efficiency standards at similar ambition level as defined by the Ecodesign Directive or opt for a less ambitious set of standards as requested by some. In the case of products, Brexit is unlikely to substantially alter the status quo quickly as product manufacturers exporting their appliances to the UK market are likely to use EU requirements as a benchmark rather than producing a dedicated (low-efficiency) tranche of products for the UK market. Equally, UK manufacturers are likely to design their products according to EU norms so that they can export easily. However, Brexit could have much more profound implications in another area—buildings. Are we going to lead the world through the 21st century with one of the worst-performing housing stocks in Western Europe? Despite past progress, Britain still has one of the leakiest housing stocks in Western Europe. The proposed revision to the Energy Efficiency Directive requires at least 30 percent savings by 2030, most of which will need to be delivered from energy efficiency improvements in existing buildings. If Britain no longer has to deliver on European energy efficiency targets there is a risk that past progress will slow; we have already seen the first signs of this. Equally, building regulations have had an important role in improving the energy performance of new buildings in the UK. The recent abolishment of the Zero Carbon Homes Target (a target for new homes constructed after 2016) indicates that while Europe moves towards nearly zero energy buildings through the Energy Performance in Buildings Directive (EPBD), Britain may take a different approach. The housing shortage and calls to make it easier to build more homes more quickly appear to have put pressure on the British government to further backtrack on energy performance standards set by the building regulations. 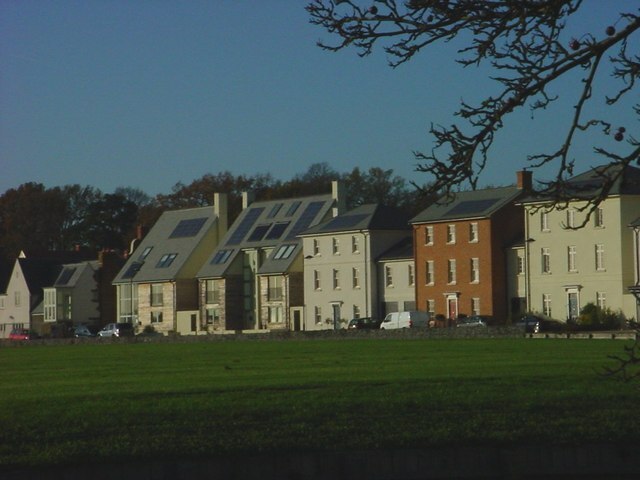 There are also forces working in the other direction; most notably, Britain’s mandatory minimum energy efficiency standards for the private-rented sector (for both residential and non-residential buildings; not a result of EU legislation) are based on the Energy Performance Certificate (EPC) rating of the property. Seeing this implemented could help establish the EPC regime in the UK’s energy efficiency policy landscape, even if the EPBD were not to apply to the UK in future. Will our domestic targets rescue energy efficiency? One might argue that even after Brexit Britain retains ostensibly strong domestic policy drivers for energy efficiency: in June, the 5th Carbon Budget was adopted by Government setting firm carbon targets for the period from 2028 to 2032. Parliament approved them in July 2016. This follows the 2008 Climate Act that sets a legally binding target for the UK to reduce its greenhouse gas emissions by 80 percent by 2050 based on 1990 levels. Reaching those targets requires mitigation action across all sectors with a key role for energy efficiency in buildings. Worryingly, a large part of the carbon emissions cuts (85 percent in the case of buildings) is considered by the Committee on Climate Change to be ‘at-risk’, and after the vote to leave the EU, there is uncertainty around which previously EU driven policies will remain or what will replace them. There is a slim chance that Britain will retain and implement at least part of future EU energy efficiency policy. This depends on whether Britain will remain (like Norway) a member of the European Free Trade Association (EFTA) and the European Economic Area (EEA) or become a member of the Energy Community. Members of those organisations are required to transpose the energy acquis of the European Union including energy efficiency-related legislation. At the time of writing, the former option seems unlikely given the desire of the British government to discontinue freedom of movement and to leave the single market. Membership of the Energy Community, however, may not be open to the UK as its main purpose is to assist countries on the way to greater energy market liberalisation. This means the UK most likely needs to define its own approach to energy efficiency rather than simply relying on Europe. With EU-driven policies potentially becoming redundant, the UK needs to develop a coherent policy framework setting out a long-term trajectory for energy efficiency. Without putting efficiency first it will be difficult to attain the UK’s domestic carbon targets, and will raise the cost of energy to UK families and businesses across the board, whatever carbon targets or other environmental goals the independent UK may establish. This article was first published on the Energy Post blog.